The banana shallot derives its name from the shape of the bulb itself. Elongated, the banana shallot grows in clusters of two to three bulbs that are usually larger than other varieties of shallots, but smaller than onions. Though related to the onion, the taste is milder and sweeter. With a lower water content than an onion, the banana shallot must also be cooked more gently than onions so they don't burn. Find a substitute that emulates the flavor of the banana shallot if you don't have any on hand. In place of a banana shallot, use another variety of shallot. 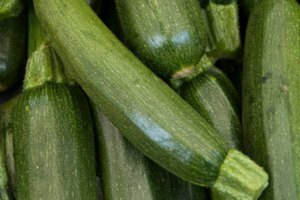 The Golden Gourmet shallot has a mild flavor profile and mixes well when used in casseroles and salads. The Golden Gourmet also stores well in your pantry or fridge. The Hative de Niort shallot also has an elongated shape the mimics the banana shallot. Pear shaped in nature, it has a brown skin like the banana shallot as well. 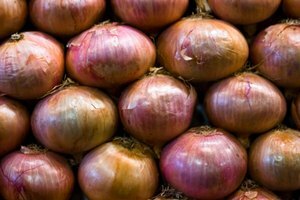 Finally, the Topper shallot also has a mild flavor profile that is similar to the banana shallot. It also stores well in the fridge or pantry. The flavor profile of a banana shallot is a mix between onion and garlic. Recreate that same profile by chopping 2 parts white onion and 1 part garlic for your recipe. 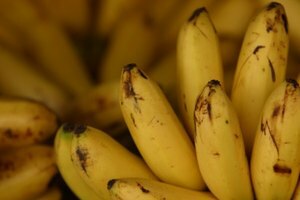 For example, if the recipe calls for 1 cup diced banana shallots, dice 2/3 cup of white onion and 1/3 cup banana shallot. Mix them together well and then add to your recipe as directed. 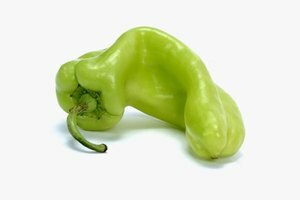 Another vegetable that has a similar flavor to the banana shallot is the green onion. Remove the root system attached to the base of the white bulb from the green onion with a cooking knife. Remove the green stalk of the green onion and set aside to use in another dish. Finally, chop or slice the white portion of the green onion and add to your recipe. 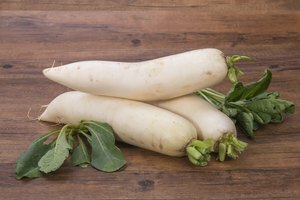 Daikon is a root radish that is popular in Japanese cuisine. 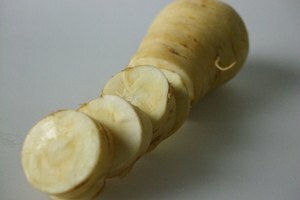 Daikon roots are usually about 2 to 4 inches in diameter and 6 to 20 inches long. The taste of the radish is mildly spicy, like a shallot or mild onion. After removing the green leafy top of the radish with a kitchen knife, determine if you want to peel the skin of the radish. Like a carrot, the skin is edible but may be tough because it has been in soil and then exposed to air. Remove it with a vegetable peeler. Next, chop or dice the daikon as your recipe directs and add it to your dish.